April not only brings an end to an especially cruel winter, it signifies Spring’s Car Care Month. Use this to make your customers mindful of their vehicles’ needs and due services to be ready for summer’s road trips. As a service advisor, you know that building trust and educating customers are two of the biggest issues when performing needed services on their vehicles. Many times, customers are afraid of being sold items that they don’t need or don’t understand the importance of the suggested work. As shop professionals, the difference between car care and car repair is obvious, but it is not always as apparent to your customers. According to Car Care Council, “one out of three consumers that put off routine vehicle maintenance do so because they cannot find a convenient time.” This Car Care season, educate your customers on the benefits of prioritizing their time. *You can schedule a demo for digital vehicle inspections here. While digital vehicle inspections are a tool that adds to the efficiency and professionalism of your shop, they also serve as an essential communication tool to educate your customers on the importance of routine car maintenance. However, having another source of information to present to a customer can help you break through these barriers. 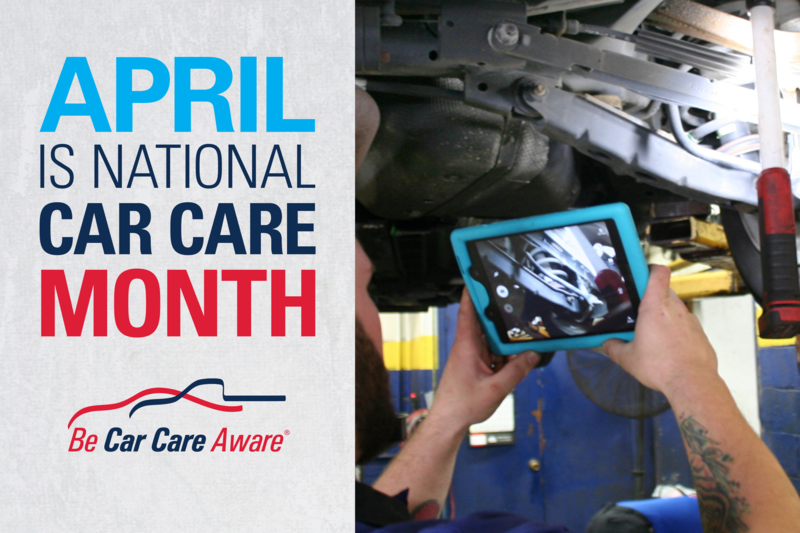 The Car Care Council, a non-profit organization dedicated to educating motorists about the importance of regular vehicle care, maintenance, and repair through its “Be Car Care Aware” consumer education campaign, can serve as that additional source, especially during the National Car Care months of April and October. Created as a non-profit, the Car Care Council acts as an educational third party for drivers to go to seek out unbiased information about vehicle maintenance and its importance. To show your customers your shop is Car Care Aware, create trust, and benefit from the national campaign, go to www.carcare.org for more information. Visit part 2 of this series, "Car Care is No April Fools Joke" and part 3 "How National Car Care Month and Photos Educate Customers."